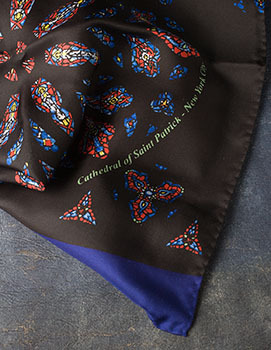 The famous "Angels Rose Window" of St. Patricks Cathedral is replicated on this beautiful 100% silk oblong, 17" x 70". For inspiration, hang it in your home or office, use it as a home altar cloth, or wear it. This magnificent stained glass window is over the main door of The Cathedral.